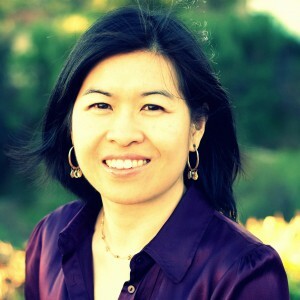 Christine Cheng is Lecturer in War Studies at King’s College London. Her research on post-conflict transitions sits at the intersection of international relations and comparative politics (with a focus on the politics of West Africa). Her forthcoming book is entitled Extralegal Groups in Post-Conflict Liberia- How Trade Makes the State (Oxford University Press) explores how ex-combatants impacted on statebuilding processes after the end of Liberia’s civil war. She is co-editor of Corruption and Post-Conflict Peacebuilding: Selling the Peace?.Dr Cheng holds a DPhil from the University of Oxford (Nuffield) and an MPA from Princeton University (Woodrow Wilson School). Previously, she was the Boskey Fellow in Politics at Exeter College, University of Oxford. In 2009, she was the Cadieux-Léger Fellow at Canada's Department of Foreign Affairs and International Trade. Dr Cheng has an undergraduate degree in systems design engineering (BASc) from the University of Waterloo. She has worked and consulted for the UN, the World Bank, the UK Stabilisation Unit, Environment Canada, and the Wildlife Conservation Society. She sits on the Conflict Research Society’s Governing Council and serves as a commentator on international affairs for a variety of media outlets including the BBC, the Wall Street Journal, al Jazeera, Radio France International, and Real Clear World. Dr Cheng has been a longtime advocate on gender equality issues, and has recently become active in British politics at the national and local levels. She tweets @cheng_christine. This edited volume explores and evaluates the roles of corruption in post-conflict peacebuilding. The problem of corruption has become increasingly important in war to peace transitions, eroding confidence in new democratic institutions, undermining economic development, diverting scarce public resources, and reducing the delivery of vital social services. Conflict-affected countries offer an ideal environment for pervasive corruption. Their weak administrative institutions and fragile legal and judicial systems mean that they lack the capacity to effectively investigate and punish corrupt behaviour. In addition, the sudden inflow of donor aid into post-conflict countries and the desire of peacebuilding actors (including the UN, the international financial institutions, aid agencies, and non-governmental organisations) to disburse these funds quickly, create incentives and opportunities for corruption. While corruption imposes costs and compromises on peacebuilding efforts, opportunities for exploiting public office can also be used to entice armed groups into signing peace agreements, thus stabilising post-war environments. This book explores the different functions of corruption both conceptually and through the lens of a wide range of case studies. It also examines the impact of key anti-corruption policies on peacebuilding environments. The dynamics that shape the relationship between corruption and the political and economic developments in post-conflict countries are complex. This analysis highlights that fighting corruption is only one of several important peacebuilding objectives, and that due consideration must be given to the specific social and political context in considering how a sustainable peace can be achieved. This book will be of great interest to students of peacekeeping and peacebuilding, criminology, political economy, war and conflict studies, international security and IR.